Empower your soul and enlighten your senses as Christian piano music holds the power to enlivening your soul. 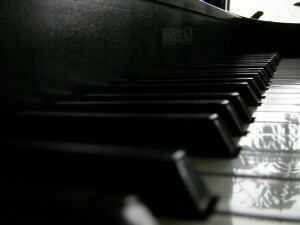 Most people perform Christian music at religious services such as the church or for weddings as the piano or keyboard is sometimes the most easily accessible instrument, aside from the guitar. But it can also be an excellent choice for beginner piano lessons and for anyone learning piano. You can now enjoy different types of genres such as new age, contemporary or soft rock genres whether it be for private functions or in live recitals. Southern gospel sheet music is now making a big comeback, with plenty of songs being available as printable downloads and many sites are also offering free MIDI files. Each hymn or Christian song is based on a series of patterns that repeat themselves over and over again which is why so much of this music is ideal as a supplement for most piano classes. It’s not critical to have a perfect knowledge of sheet music to perform your Christian music favorites. Once you know the basic chord pattern and harmonic progression, you’ve pretty much learned the entire song. 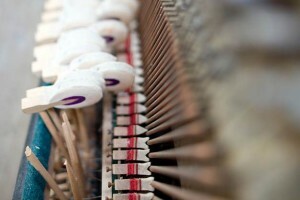 And so much of the best piano practice and instruction has to do with mindful repetition. Whether it’s gospel or a collection of church hymns transcribed from the organ, Christian music holds a powerful place in the realm of piano music. You’ll often run into inspiring titles ‘Awesome God’, ‘Blessed Be Your Name’, ‘Now Is the Time to Worship’ and ‘Days of Elijah.’ Famous names of worship music include Casting Crowns, Michael W. Smith and Bill and Gloria Gaither. The chords of Christian piano music are actually quite basic making them easy to play and comprehend for anyone who wants to learn piano efficiently. It takes more than just memorizing a series of chords to memorize the entire song. You may find it easier to memorize the patterns of chords by feeling each progression deep within your soul – the whole idea behind worshipful music. Holy music is not only limited to church functions and religious service, anyone can benefit from playing this music. You can now enjoy different types of genres of Christian piano music such as new age, contemporary or soft rock genres whether it be for private functions or in live recitals. It’s incredible how easy Christian piano songs can be taught. Just walk into any music store, and you’ll find tons of Christian piano music that may interest you. Imagine the looks of pleasure and joy which will surround you whenever you begin playing stunning and recognized hymns on the piano. Not only inspiring, but also enlightening can be the most simple Christian piano tune. » More About This Style – You don’t have to go to church to find the piano notes for your favorite Christian song, why not download it quickly and easily from the net? » Download Christian sheet music – A list of the best sites to download free printable Christian music from, and don’t forget to search our huge, growing database. Please be patient as we add more music to this site. » Gospel? Anyone! – Everything you need to know about gospel music, its origins, history, temperament, singing and performing styles, and of course, learning how to play it best on the piano. » Gospel sheet music – Although a lot of this style of Christian music is written for organ and voice, it can easily be adapted to the piano. We’ll show you how to find the best sheet music on the web. 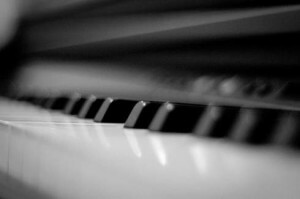 » Classic Music Making – A page dedicated to this classic genre of Christian piano music making, and a section which explains exactly what makes gospel choir music so breathtaking and blissful to listen to. » Free gospel sheet music – Gospel piano doesn’t have to break your budget. Most books are already very cheap to begin with, but in case you would rather spend those few bucks to give to your local charity instead, here are a few free sheet music gems you can use right away. » Free worship sheet music – Music designed especially for important liturgical services including hymns, chorales, and psalms – and how they can be easily performed on the piano. Printable sheet music for hymns and more! 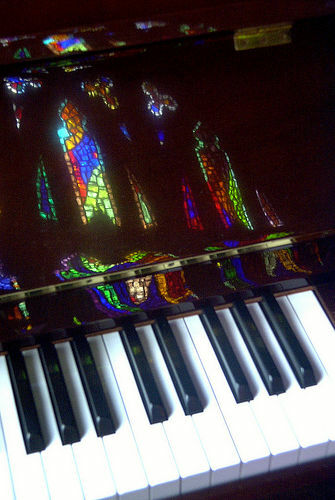 » Finding Worship Songs – For true aficionados of worship music, we’ve put together interesting snippets of info about this highly important genre of music and how to make it work as piano music. » Printable sheet music for hymns – In the form of piano music. Just choose the one that most entices you and then print away using your own personal computer. Either sing, play or sing and play these hymns at the same time. 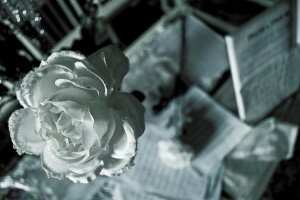 » Wedding music – Confused about which songs can be played and are most appropriate for this blessed occasion? Read about what works best and how to go about choosing the most inspiring tunes. Everything you need to know about Catholic wedding music, as well as Indian, Jewish and Muslim traditions. » Free wedding sheet music – If you’re wondering about what to hand your organist/pianist on that special day, here are a few tips on songs you can have played or sung. » Wedding piano music – Many modern churches today have a piano or electronic keyboard at their disposition one can use during the wedding ceremony. Here’s how to find the best music for this occasion. Join over 10,000 people who get free music delivered automatically. Your email is perfectly safe!